1:50 PM 9/10/2018 – Is this “a salute” of the New (today’s) Abwehr to the old one and the centennial celebration of of the Treaty of Versaille? M.N. Is this “a salute” of the New (today’s) Abwehr to the old one and the centennial celebration of of the Treaty of Versaille? M.N. 5:37 AM 9/20/2018 – M.N. : There is something happening here… Are these the “Chinese” in Sun Tzu’s sense or the New York slang sense? 8:10 AM 9/20/2018 – The “anti-Austrian diagnostic sign” of the New Abwehr is clearly traceable in Manafort-Hapsburg Group affair, and also, possibly, in Anthony Weiner’s (“Viennese”) “telling name”. New charging documents released by prosecutors revealed new details of former Donald Trumpcampaign chair Paul Manafort’s efforts to engage in off-the-books efforts to pressure the U.S. government on behalf of a Ukrainian political party. 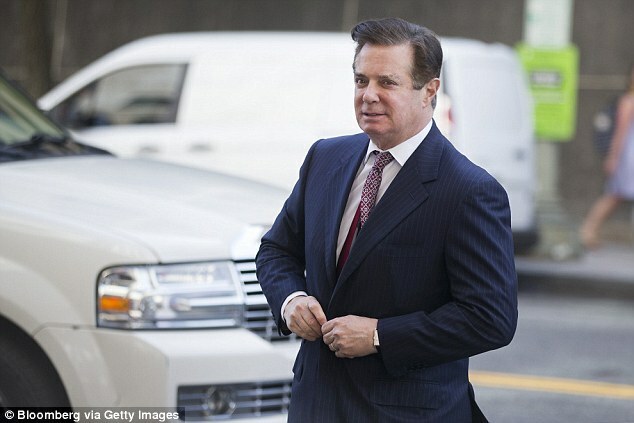 Manafort banked $60 million over more than a decade, he admitted in his guilty plea Friday, concealing his earnings, avoiding taxation, and button-holing lawmakers and agency officials on the pro-Moscow government’s behalf without declaring his disguised influence work. A key element involved the creation of the ‘Habsburg Group, consisting of European officials, as part of the lobby campaign, and the European Centre for the Modern Ukraine in Brussels as a way to ‘distance’ lobbying for Ukraine, the government said. Yet Manafort and his deputy Rick Gates noted their ‘client’ had an Embassy in Washington – meaning the real client was the government of Ukraine. The employee in one email referred to the Centre as the ‘European hot dog stand for Modern Ukraine. Although Manafort didn’t register as a lobbyist, he wrote detailed memos to Ukrainian President Victor Yanukovich summarizing his own efforts and that by a team of lobbyists. ‘The purpose of this memorandum is to la out a plan to manage the strategy, public relations and international affairs for President Yanukovich,’ Manafort wrote in a February 2010 memo to the Ukrainian president. He took steps to ‘tarnish’ Yanukovich’s predecessor, Yulia Tymoshenko, the political rival Yanukovich had jailed. One newly revealed document showed Manafort ‘orchestrated a scheme to have …'[O]bama jews’ put pressure on the administration’ to support Yanukovych and ‘disavow’ his rival, Tymoshenko. The government charged Manafort ‘coordinated privately with a senior Israeli government official’ to issue a statement publicizing the story. ‘I have someone pushing it on the NY Post. Bada bing bada boom,’ he wrote. He sought to have the administration ‘understand that ‘the Jewish community will take this out on Obama on election day if he does nothing,’ according to prosecutors. 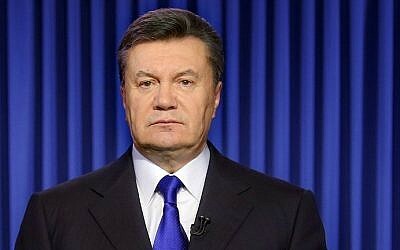 When Congress took up a resolution to criticize Yanukovych, Manafort ‘engaged in an all-out campaign to try to kill or delay the passage of this resolution,’ according to prosecutors. He directed lobbyists to have a senator place a ‘hold’ on the legislation, but they didn’t reveal they were working for Ukraine. The lobbying and organization bore million in payments – but Manafort tried to shield the money. He set up a web of offshore accounts. In just one instance, he used funds stashed in Cyprus to buy a $2.9 million Soho condo, charging thousands per week on Airbnb. It is one of the properties the government is forcing him to relinquish under the terms of his guilty plea. He paid $3 million in cash from Cyprus to buy a Brooklyn brownstone. Manafort cheated the government out of $15 million in taxes, he admitted. He disguised as ‘loans’ more than $13 million from entities in Cyprus, according to the government’s criminal information. He used a $1.5 million ‘loan’ to buy a property on Howard Street in Soho, avoiding having to declare it as income. In 2013, he directed lobbyists to ‘write and disseminate within the United States news stories that alleged that Tymoshenko had paid for the murder of a Ukrainian official. He emphasized: ‘It is very important to have no connection.’ A lobbyist objected but persons ‘D1 and D2’ ultimately complied. He didn’t disclose the lobbying. 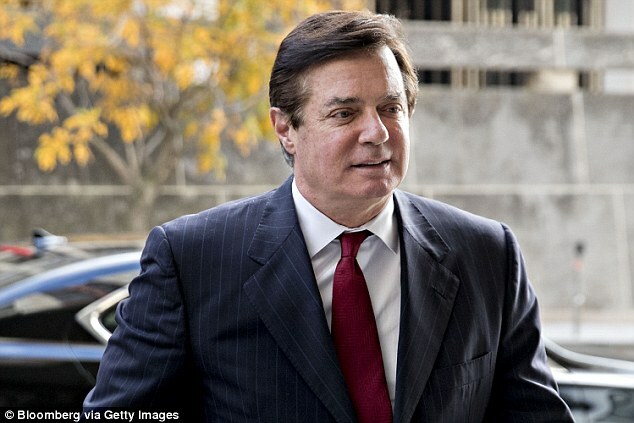 Manafort ‘knew it was illegal’ to lobby the government without registering, knew he was lobbying for Ukraine, ‘intentionally’ led a multi-million lobby campaign without registering, and took steps to keep it ‘as secret as possible,’ according to the guilty plea he signed. The Manafort-directed effort ‘lobbied dozens of Members of Congress, their staff, and White House and State Department officials about Ukraine sanctions, the validity of Ukraine elections, and the propriety of President Yanukovych’s imprisoning Tymoshenko, his presidential rival,’ according to the criminal information. mikenova shared this story from european centre for a modern ukraine – Google News. Here are some of the people who worked on Manafort’s Ukraine … the European Centre for the Modern Ukraine,” according to court filings. … His firm never worked for the Ukrainian strongman Viktor Yanukovych, … a little-known NGO called the European Centre for Modern Ukraine. … Paul Manafort, has provoked a political whodunit in Jerusalem, where … movement, a right-wing nationalistic group with anti-Jewish origins. Good Friday claims a sacred spot on the Maltese calendar, and this year the holiday was casting its reliable spell. In the late afternoon, hundreds of people streamed from Baroque cathedrals outside the capital city of Valletta, forming slow parades through steep and narrow streets. Men in biblical robes lugged crosses, children clutched bright flowers, and small brass bands marched behind with raised trumpets and inflated cheeks. A breeze wrinkled the Mediterranean, and the sun slipped to a flattering angle, encasing all that charm in amber. At the same time, the nation’s top-rated prime-time television show was wrapping up a special daytime broadcast: an annual telethon to raise money for children receiving cancer treatments abroad. In the bottom-left corner of the screen, a digital counter tallied the donations. When the number finally hit €1.26 million ($1.46 million), the studio audience began to stir, eager to applaud the fundraising record. That’s when Prime Minister Joseph Muscat called into the telethon’s phone bank. He, too, seemed in a celebratory mood. The day before, the country had announced that it had registered a €182 million surplus for 2017, its second straight year in the black after decades of deficits. Patched through to the telethon’s host, Muscat pledged €5 million to the cancer charity on behalf of the government, nearly quadrupling the previous telethon record in an instant. The audience erupted. Some of the operators on the dais behind the stage removed their headsets and laid them on the table, as if to declare victory. But these days in Malta, feel-good stories never seem to last. When Muscat hinted that the donated money would come from a fund fed by Malta’s Individual Investor Programme—a government initiative that sells Maltese passports to foreigners for €650,000 (less for additional family members), plus a €150,000 investment in government bonds—Good Friday took a turn. Prime Minister Joseph Muscat and his wife, Michelle. An opposition Parliament member wrote on Facebook that, as a cancer survivor, he was disgusted by the possibility that the patients’ care was being financed by money from “criminals and the corrupt.” Another suggested Malta was trying to clean its dirty money by funneling it through a good cause. “It’s [like] thinking that prostitution is OK once part of the proceeds are donated by the pimp to charity,” Jason Azzopardi, a Parliament member, complained on Facebook. The story of how Malta got to this point—where a holiday donation to a children’s charity can spark outrage and lament—starts brightly enough. A tiny country carves a small but lucrative niche in the global economy. Money flows in, thousands of jobs are created, and the government intensifies the strategy, opening the country to more partners and funding sources. Then comes the twist: Allegations of money laundering, political skulduggery, smuggling, organized crime, and even a murder. Multiple investigations—by local magistrates, American prosecutors, and European politicians and banking regulators—have been rattling Malta’s financial and political networks for more than a year. Some of the most powerful countries in the world have suggested that a nation of about 450,000 people might pose a serious threat to global efforts to track money laundering, enforce economic sanctions, and maintain fair transnational standards. A 15-month inquiry into one of the most contentious of the allegations—one suggesting that Muscat’s wife was directly involved in setting up a shell company for money laundering—wrapped up in late July without uncovering evidence that would justify criminal charges. “One hundred threads of suspicion don’t stitch together a single strand of proof,” the investigating magistrate concluded. The story isn’t over yet, because some of those threads still dangle, and critics of the government both inside and outside Malta remain convinced that they tie into other scandals, other crimes. The government continues to try to nurse its battered reputation back to health, and how it all turns out will likely depend on how the Maltese ultimately answer the question lingering over their country: To supercharge its financial-services sector, did the smallest country in the European Union sell its soul? Taking a sunset dip in Sliema Harbor, near Manoel Island. South of Sicily, east of Tunisia, and north of Libya, Malta’s three tiny islands have been eyed as well-placed steppingstones by the Phoenicians, Greeks, Romans, Byzantines, Arabs, Normans, French, and British. All coveted Malta as a staging ground, which makes its history a swashbuckling saga of raids, sieges, bombings, and rotating occupations. When the last British military base finally left in 1979, it took with it the country’s main economic engine. Malta turned to tourism, doing its best to sell ancient ruins, fortress walls, sloping medieval streets, and sheer limestone cliffs. The country eventually discovered, as most sunbaked islands do, that while it’s possible to get by on atmospherics, it’s hard to do much more. In the early 1990s, Malta’s two major political parties argued over whether to take a shot at EU membership—generally speaking, the Labour Party didn’t like the idea and the Nationalist Party did. 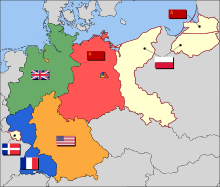 By the mid-’90s, with the Nationalists in power, the country began to prepare its application to join the bloc. To convince the rest of Europe that it could be a trusted partner, Malta began instituting a series of financial and regulatory reforms. In the process, the country was reinventing itself as a new sort of steppingstone: a transit hub not for ships or soldiers but for money, in an environment of regulatory legitimacy, transparency, and stability. Malta discovered that the residue from centuries of turmoil (an ingrained adaptability, strong links to disparate cultures, the English language) was an asset, as was the country’s size, which allowed it to nimbly sidestep bureaucratic delays and cater to rapidly evolving industries that valued good computer connections more than natural resources. The traditional downsides of island economies—the high costs of transporting supplies in and out, for one—didn’t apply to the financial-services industry. By the time the country’s membership in the EU was formally approved in 2004, Malta had staked out its place within Europe’s economy, and the nation’s attractive tax schemes—effective rates as low as 5 percent for foreign-owned companies, vs. an average of 22 percent for other European countries—helped attract investment funds, banks, and financial-services firms from all over the world. The steady influx of new business helped the local economy avoid a significant downturn during the 2008 financial crisis. Shortly after Muscat and his Labour Party took office in 2013, effectively ending 25 years of Nationalist electoral dominance, the country instituted the controversial passport-selling scheme, which was denounced by EU officials who feared it could create a back door for shady individuals or dirty money to gain access to Europe’s financial markets. But Muscat energetically pushed the plan, traveling abroad to sell it to prospective citizens, and it quickly took off. In 2014, Malta began a three-year run as the fastest-growing economy in Europe, and Muscat and his allies described the passport program as a complete success. By the beginning of this year, the government had collected about €600 million through it. Muscat’s opponents in the Nationalist Party, as well as some members of the Maltese press, weren’t sold. In 2016 investigative journalist Daphne Caruana Galizia dug into the documents released in the Panama Papers leak and discovered that two of Muscat’s closest aides had established companies in Panama. She accused them of using those businesses to launder money from kickbacks she said they’d received for helping to arrange the sales of passports to Russian nationals. They denied it; a separate magisterial inquiry regarding those allegations is under way. Later, Caruana Galizia reported that Muscat’s wife, Michelle, had established her own Panamanian shell company through the same middleman who’d set up those for Muscat’s aides—the accusation that the magistrate this summer said he’d found no proof to support. Caruana Galizia also accused Pilatus Bank, a Maltese institution founded in 2014, of handling much of the money in those alleged transactions, as well as those involving the shell companies set up by the prime minister’s aides. Caruana Galizia’s blog became the most-read news source in Malta. And even though she criticized both parties, it was a clearinghouse for critics of Muscat’s government. On any given day she might have accused a Maltese official of visiting a prostitute; or exposed an alleged local oil smuggling ring that helped Libya evade sanctions; or traced personal connections between government officials and suspected criminals; or slammed Muscat for trying to pitch Malta as a cryptocurrency capital, which she suggested would attract more corruption; or detailed alleged links between the country’s growing online gaming sector and the Italian Mafia. The list of her enemies was large and growing, and by last fall she faced 47 lawsuits—42 civil, 5 criminal—about 70 percent of them from government officials, according to her sister, Corinne Vella. Prime Minister Muscat was one of those suing her, and he labeled her accusations as “the biggest lie in Malta’s political history.” Many in Malta seemed to believe him; in June 2017, as the allegations swirled, Muscat called for a snap election, and he was reelected with 55 percent of the popular vote. Last October, as she drove away from her house, Caruana Galizia was killed by a car bomb. Police later arrested three men, low-level criminals, for planting and detonating the device. But no one in Malta considers the crime solved. Whoever ordered the killing remains unidentified. Some speculate that criminals involved with the Libyan smuggling ring might have targeted her, or that the Sicilian Mafia put out the hit. Many others blame the government. Muscat and his administration loudly condemned the murder, calling it a tragedy and energetically denying any link to it. But the killing marked a turning point for Malta. The notion that corruption might have overtaken Malta’s economy now spread far beyond the confines of an opposition party, and the eyes of the world turned toward the tiny country. It has been struggling to clear its name ever since. A recent protest over the killing of journalist Daphne Caruana Galizia, murdered last October. Everyone knows everyone in Malta. It’s an exaggeration, of course, but among the nation’s financial elite, the people who run the banks and institutions and sit on the governing boards, the notion is all but taken for granted. “There are, unofficially, some 10,000 people who work in Malta’s financial industry, and the guys in charge—there are maybe 50 or 70 of us—we know each other fairly well,” says Joseph Portelli, chairman of the Malta Stock Exchange. In describing the financial community as small and closely knit, Portelli is defending it. He grew up in New York with his Maltese parents, and 15 years ago moved to Malta to manage his own fund, which specializes in emerging-market investments. He entered a financial-services industry that was fiercely protective of its reputation and keenly sensitive to insinuations of corruption. Now, as allegations of wrongdoing swirl, that defensive sensitivity is more acute than ever. Portelli has adopted it as naturally as any lifelong resident. 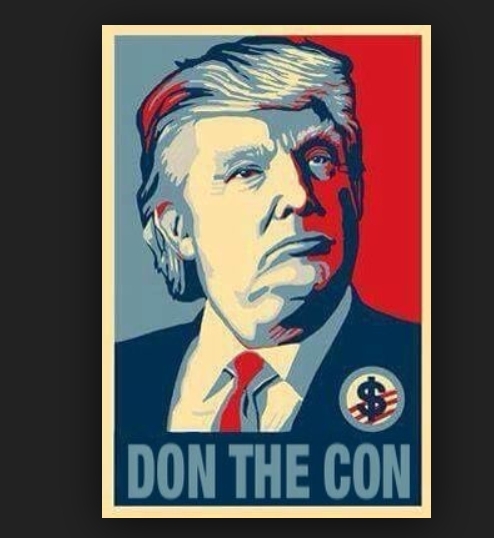 “We’re getting this blemish that we’re money launderers,” he says, “and that’s the worst irony.” There have been a few small problems, he concedes, with a handful of small banks. “You know what they all have in common?” he asks. “Not one of the principals was Maltese, they were all foreigners.” The locals, he suggests, police one another. It’s a variation on an argument that’s been around since Plato and Aristotle. Small states tend to be less susceptible to corruption for two reasons: It’s more difficult to hide indiscretions, and higher levels of social cohesion discourage dishonesty. In the early 2000s several academic studies used data to support this theory, and some analysts suggested that globalization might be of particular benefit to small countries—freer trade and the increased mobility of labor and capital would reduce the costs of being small, they argued, while the advantages associated with less corruption could be retained. An alternative theory is that small states will be susceptible to cronyism—all those close connections might enable, rather than discourage, financial subterfuge. More recent studies, including research conducted by the World Bank, have found that the data used in the earlier reports were incomplete, and the suggestion that smaller countries are statistically less corrupt than large ones remains unproven. For critics of Muscat, one powerful symbol of cronyism is Ali Sadr Hasheminejad, head of Pilatus Bank, the institution allegedly in the middle of the suspicious transactions involving the Panamanian shell companies linked to government officials. Sadr is an Iranian national, but when establishing and registering the bank in Malta he used a passport he’d purchased from St. Kitts. While Sadr was enmeshed in controversy in Malta, a parallel investigation into him and his bank culminated in his arrest by U.S. authorities, who charged him this spring with setting up a network of shell companies and bank accounts to hide money being funneled from Venezuela to Iran—transactions that allegedly violated economic sanctions against Iran. Prosecutors also alleged that Sadr established Pilatus Bank using illegal funds. Sadr pleaded not guilty and has been released on bail in the U.S.; his lawyer didn’t respond to requests for comment. Malta’s government attempted to distance itself from Sadr, but the same sort of intimate connections found throughout the financial sector have undermined those efforts. Local news outlets reported that among the 250 guests at Sadr’s 2015 wedding in Italy were Muscat, his wife, and one of the aides accused of moving money from kickbacks related to the passport program through Pilatus Bank. The July magistrate’s report stated that some of the evidence used by Caruana Galizia and others to implicate Michelle Muscat—including Pilatus Bank documents suggesting she was the owner of the shell company at the center of the scandal—bore falsified signatures. Muscat and the lawyers for Pilatus Bank immediately presented the findings as a “certification” that the whole story had been a lie cooked up by Caruana Galizia and foreign critics, and they denounced it in terms familiar to anyone conversant with the new vocabulary of political grievance: It was “fake news,” part of a “witch hunt.” They also drove home the point that the magistrate’s report identified serious improprieties on the part of their critics. But the family of Caruana Galizia pointed out that the identity of the owner of the Panamanian shell company is still a secret. Furthermore, the European Banking Authority just weeks before had cited “serious and systematic shortcomings” in how Maltese regulators monitored Pilatus Bank before and after Sadr’s ties to Iran were exposed. A confidential 2016 regulatory report that was leaked last year confirmed that the bank’s profitability depended on politically involved clients from Azerbaijan. And the U.S. allegations that Sadr founded Pilatus Bank with criminal proceeds remain unaffected by that magisterial report. Muscat and those in his government generally have responded to such criticisms by going on the offensive: Instead of putting the brakes on controversial policies, they’ve stomped on the gas. Muscat this year pushed for an expansion of the passport sales program, arguing that such investments and the economic activity they spur could help Malta become one of the wealthiest countries in Europe within his lifetime. Last year alone, private wealth in Malta jumped by more than 20 percent, thanks in part to its newly minted citizens. In April, just as several Asian countries were cracking down on cryptocurrencies, Muscat announced that Malta would become the first country in Europe to create a regulatory and legislative framework specifically designed to attract virtual currencies. Shortly thereafter, Binance Holdings, the world’s largest cryptocurrency exchange, announced it was moving its headquarters from Hong Kong to Malta. Within weeks, Morgan Stanley analysts were reporting that a majority of the world’s crypto trading volume was moving through companies based in Malta. Yachts have largely displaced fishing boats in the harbor in Sliema. In Sliema, one of the most affluent towns in Malta, open-air restaurants line the harbor road. A few decades ago, diners here would look out upon dozens of Maltese fishing boats bobbing in the water, their prows upturned and their wooden hulls painted in rainbow stripes. Now the harbor is crowded with hundreds of fiberglass yachts—large, modern, colorlessly impressive. The view helps explain why many Maltese are ambivalent about their country’s progress: They know that economic opportunities are more plentiful than they used to be, but they fear progress might be smoothing away the country’s distinctive edges. The skyline is dotted with cranes rising above the cathedral domes, and those cranes always seem to be hovering over the same sort of building: tall, rectilinear, and cut in clean angles. Malta is the most densely populated country in the EU, and the economic boom of recent years has intensified the pace of construction. Locals often complain of the dust from all of the building sites; when it rains, the drops sometimes hit windshields as small, powdery explosions—tiny puffs of brown smoke. Competing real estate agencies line Sliema’s coast road, stretching for several blocks. Constantly changing listings for apartments and houses paper their windows. “There’s big demand, and the prices keep getting higher,” says Carl Peralta, director and founder of 77 Great Estates, one of the agencies. Driving that demand is a new genus of Maltese resident that, Peralta insists, can easily be spotted in the cafes and restaurants of Sliema. Many are from northern Europe, and almost all are young—20s, maybe early 30s. They carry backpacks, they don’t drive cars, and they’re rarely spotted anywhere before 10 a.m. They work for the hundreds of internet gaming companies that have flocked to Malta in recent years. The companies offer the range of gambling services, from online poker and games of chance to sports betting. In the early 2000s, only two online gaming companies could be found in Malta; now there are up to 300, and the sector accounts for an estimated 12 percent of the economy, according to the Malta Gaming Authority. 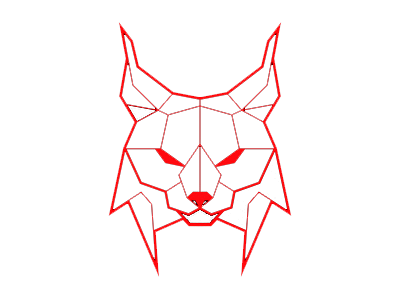 Both the governing party and the opposition agree that the growth was a result of commendable foresight: In 2004, Malta became the first country in Europe to regulate online gaming, helping to legitimize an industry that previously stood on the fringes of respectability and legality. The new arrivals who’ve bought citizenship through the passport program maintain a much lower profile than the gaming-industry workers. You can’t pick them out of a crowd on the street, and it’s difficult to even identify them in government documents. When Malta last released its annual list of new passport holders, it was maddeningly difficult to decipher; purchasers were listed in order of their first names, without a country of origin, and mixed among thousands of others who obtained their citizenship though birth or naturalization. The Maltese press has discovered that the list of new citizens includes Russian oligarchs and even a woman who was suspended from the Vietnamese parliament for having dual citizenship, which is illegal in Vietnam. Roberta Metsola, who represents Malta in the European Parliament, suggests that many of the passport purchasers want nothing to do with Malta; they simply want the financial and travel access that an EU passport provides. “We’ve had cases of people arriving on a private jet, meeting a real estate agent, taking out a basement flat somewhere here for a year, never even seeing it, and leaving in the afternoon,” Metsola says. The town of Sliema is a popular destination for expats and new citizens. Jonathan Ferris speeds through Valletta’s darkened streets, jumps off his motorcycle, and walks briskly into the lobby of the Phoenicia Malta Hotel, where he finds a table in the noisy lounge. His features are lean, and he moves with a restless energy. His eyes scan the room, and he raises his voice just loud enough to be heard above the lounge singer, who is halfway through a slow and torchy version of Fleetwood Mac’s Songbird. The European Parliament is concerned enough about Malta to have sent an investigative delegation to the country multiple times this year. The committee’s report, issued recently, described an atmosphere of fear had settled over the country—and a sense that criminals could operate with impunity. Ferris believes his life during the past year perfectly represents the intersection of both phenomena. He says that in 2017 his bosses at Malta’s Financial Intelligence Analysis Unit, the national agency tasked with policing money laundering, asked him to step aside from the investigation of the allegations involving Muscat’s wife and aides. He had told them he didn’t trust one of the known sources that had fed Caruana Galizia information regarding Michelle Muscat’s alleged ownership of the shell company—a source Ferris had investigated before and who, incidentally, was later discredited by the magisterial inquiry. Ferris’s bosses told him they believed his history with that source compromised his objectivity. That angered him, and he told his bosses that within 72 hours he could determine the true owner of the company that Michelle Muscat was allegedly involved in. He explained to them how he would consult tax returns, political party documents, and bank records. The next day, he says, he was fired and stripped of access to investigative documents and records. His firing further fueled suspicions against Muscat and his wife. After Caruana Galizia’s murder a similar anxiety spread quickly among those seen as unfriendly to the government. Some of Malta’s neighbors pointed to that generalized unease as emblematic of the current state of the country. The European Parliament report described “systemized and serious deficiencies” in the rule of law in Malta, which had eroded the population’s general sense of security. Additionally, a police investigation in Italy has alleged that the Sicilian Mafia infiltrated companies in the online-gaming sector, using them to launder illicit funds. When Muscat sat in front of European Parliament members during a plenary hearing to discuss the rule of law in Malta last June, he dismissed the allegations publicized by Caruana Galizia as politically motivated, setting a tone for his denials that he’s used ever since. His relaxed attitude—and particularly his periodic smiles—during the questioning rankled some of the politicians. A memorial for Caruana Galizia at the Great Siege Monument. This past year was supposed to be Malta’s chance to showcase its economic gains to the outside world, to take a victory lap after years of growth. It assumed the presidency of the EU in 2017—a first for the country—and this year Valletta was named the EU’s Capital of Culture, another rotating title that was cast as a big deal for such a small country. Earlier this year Muscat went so far as to claim that national pride in Malta had hit an all-time high. The country’s tourism authority kicked into high gear to take advantage of the promised attention. All sorts of cultural galas and grand openings were organized, and the National Museum of Archeology, a grand 16th century building in the middle of Valletta, became a nucleus for the celebrations. One afternoon in April, tourists filed through the museum’s entrance and wound their way past exhibits that guided them along the country’s circuitous story. On the second floor, dozens of people entered the majestic Gran Salon, which centuries ago served as a banquet hall for the knights of the Order of St. John. Enormous tapestries, ancient and colorful, hung from the walls, and a small crowd gathered in front of a podium for a special event that had been organized just the day before. Scicluna, the minister of finance, stepped to the microphone. “I’m very proud, and very pleased, to be the person to launch this national Anti-Money Laundering and Combatting of the Financing of Terrorism strategy and plan,” Scicluna said. Despite the introduction, he didn’t appear to be particularly pleased to be delivering a speech denouncing money laundering, drawing more attention to a problem that he clearly sees as a threat to Malta’s reputation and livelihood. The reputational damage resulting from continued scrutiny from various quarters—the European Parliament, the European Banking Authority, Italian police, the U.S. Department of Justice—could trigger a backlash against the tiny country that might pose a real threat to its economic foundations. As the investigation into Mafia involvement in Malta’s online-gaming sector continues, European lawmakers have several times proposed restrictions on cross-border betting, a change that would classify the services provided by many Maltese companies as illegal. Ana Gomes, a Portuguese parliamentarian who leads the EU commission investigating rule of law in Malta, has said the country’s low corporate tax rate is “anti-European” and saps billions in revenue from other member states. In March, the European Parliament voted to pursue a “tax harmonization” scheme that would create one common corporate tax rate applied throughout the EU. A U.K.-based nonprofit advocacy group, Tax Justice Network, issued a report estimating that such a policy would cut Malta’s tax base by more than half. That economy, Scicluna hastened to add, was healthy and strong, and this year the International Monetary Fund’s executive board singled out the country’s “sound policies” as the root of its success. When he wrapped up his remarks, the crowd in the Gran Salon filed out of the museum, where they joined the current of pedestrians flowing along Republic Street toward the Great Siege Monument, which sits in front of the main courts building in one of the city’s central squares. Since last fall, people have been placing candles, flowers, and signs at the base of the monument as a makeshift memorial to Caruana Galizia. At least eight times since then, someone has swept away the items in the dark of night; each time, the flowers and candles and signs are quickly restored. Recently, a local governing council lobbied to ban the temporary memorial for good, arguing that it was time for the country to move on. A 16-year-old boy was shot and killed on Friday afternoon while playing basketball at a playground in Brooklyn, the police said. Officers found the boy, Oluwadurotimi Joseph Oyebola, known as Timi, with a gunshot wound to his head shortly before 4 p.m. in Brownsville, the authorities said. He had been playing basketball after school with three friends at Chester Playground, which is next to Public School 396, when at least one or two people fired shots from the southern end of the park, Assistant Chief Jeffrey Maddrey told reporters. Two males were seen fleeing south on Chester Street, the police said. The boy was taken to Brookdale Hospital, where he was pronounced dead. The police said that they did not know the motive for the killing and that it was possible that the boy was not the target of the shooting. Oluwadurotimi lived in Jamaica, Queens, and attended a charter school near the playground, Deputy Chief Michael Kemper said. The shots were fired more than 100 feet away from the boys, Chief Kemper said. Oluwadurotimi was in 11th grade at Brooklyn Ascend High School in Brownsville, said Steven F. Wilson, the chief executive of the Ascend charter school network. Oluwadurotimi’s school is about a half-mile west of the playground where he was shot. Oluwadurotimi moved to New York with his parents and sister from Lagos, Nigeria, in 2013, said his father, David Oyebola. Oluwadurotimi’s favorite subjects in school were math and science, his father said, and he wanted to have a career as a doctor or engineer. In November, he was scheduled to accept a national award for academic achievement at Columbia University. Mr. Oyebola, 49, a minister at the Abundant Life Christian Center in Brooklyn, said his son was active in the church and was supposed to attend a worship session on Friday. He said he often worried about his son being in the neighborhood near his school because he had heard about shootings there. He would ask Oluwadurotimi to tell him when he arrived at school and left for the day, Mr. Oyebola said. At 5 p.m., when he received a call saying his son had been shot, he rushed to the hospital to see him. Mr. Wilson, the charter school’s executive, said Oluwadurotimi was a dedicated student who often stayed at school into the evening to study and meet with his teachers. He was quiet but witty, and he was so passionate about basketball that he often carried a ball around with him, Mr. Wilson said. “Oluwadurotimi’s future was bright, and it is simply unfathomable that it was cut short so heinously,” he said. Tolu Olowoyo, 16, said he became friends with Oluwadurotimi when the Oyebola family emigrated from Nigeria about five years ago. Tolu said he had a knack for making his friends laugh and was selfless, too. “He’d go out of his way to help others,” he said. Madeline Sanders, 40, a mother of three who lives near the park and attended the nearby public school, said the shooting made her anxious because her son plays basketball there. Gesturing to the block that had been roped off by the police, Ms. Sanders said her siblings had a barbecue there just last weekend and she had considered it a safe place. Her husband, Richard Sanders, 44, said he believed it was a safe community, but that there was a problem with teenagers getting ahold of guns that must be solved. At about 10 p.m., congregants from Mr. Oyebola’s church entered his house in Queens to pray with his family. As part of Paul Manafort’s illicit lobbying for a former Ukrainian leader, he coordinated with a senior Israeli government official and spread stories of anti-Semitism against a Ukrainian politician, in order to pressure the Obama administration to turn against her, according to court documents filed Friday. 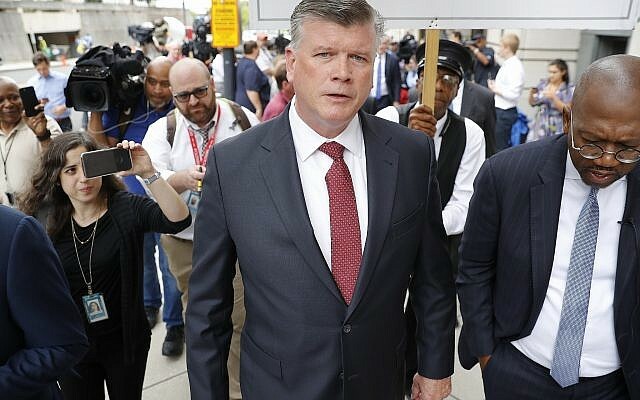 US President Donald Trump’s former campaign chairman pleaded guilty Friday to one count of conspiracy against the United States and another count of obstruction of justice to avert a second trial on money laundering and illegal lobbying charges. Manafort also agreed to cooperate with the special counsel’s Russia investigation. At the hearing, prosecutors detailed Manafort’s political consulting and lobbying work on behalf of former Ukrainian President Viktor Yanukovych and the pro-Russian Party of Regions. The document showed that in October 2012 Manafort hatched a scheme to tarnish the reputation of Yanukovych’s opponent, Yulia Tymoshenko, by spreading the story that Tymoshenko’s supporters were encouraging anti-Semitism and allied with an anti-Semitic party. By doing so he hoped to get Jewish supporters of president Barack Obama to “put pressure on the administration to disavow Tymoshenko and support Yanukovych,” the court documents said. Manafort spread stories that “a senior cabinet official (who had been a prominent critic of Yanukovych’s treatment of Tymoshenko) was supporting anti-Semitism because the official supported Tymoshenko, who in turn had formed a political alliance with a Ukraine party that espoused anti-Semitic views,” the documents said. Manafort sought to stir up “Obama jews” — an apparent reference to Jewish supporters of Obama — who would in turn “put pressure” on the Obama administration to disavow her, to Yanukovych’s advantage. Prosecutors say he collaborated with an Israeli official to spread the story that Tymoshenko was allied with anti-Semitic causes to make the administration believe “the Jewish community will take this out on Obama on election day if he does nothing.” The US presidential elections were held the next month. Manafort also allegedly disseminated stories according to which Tymoshenko had solicited murders. 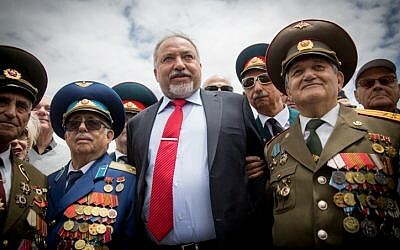 The statement did not name the Israeli official, but there was speculation in Israel that it could have been Defense Minister Avigor Liberman, with media reports noting that he had issued a statement along such lines in October 2012 (Russian text). However, Liberman vehemently denied any connection. “The Defense Minister does not know Manafort, has never met him or ever spoken to him,” the Haaretz news site quoted a statement from his office as saying. Yanukovych served as President of Ukraine from 2010 until his ouster in the 2014 Ukrainian revolution, amid unrest over his push to take the Eastern European country back into the Russian sphere of influence and away from the EU. Yanukovych, who is thought to be close to Russian leader Vladimir Putin, now lives in exile in Russia. Within days of Yanukovych fleeing, Russia took military action that ultimately lead to the annexation of the Crimea Peninsula from Ukraine. On Friday, prosecutor Andrew Weissman said in court that Manafort had struck a “cooperation agreement” and would plead guilty to charges related to his Ukrainian political consulting work. “He wanted to make sure that his family was able to remain safe and live a good life. He’s accepted responsibility. This is for conduct that dates back many years and everybody should remember that,” said attorney Kevin Downing. It is unclear what information Manafort is prepared to provide to investigators about Trump or that could aid Mueller’s investigation into Russian interference in the 2016 presidential election. He was also a close business associate of a man who US intelligence believes has ties to Russian intelligence. Rudy Giuliani, Trump’s attorney, echoed that. “Once again an investigation has concluded with a plea having nothing to do with President Trump or the Trump campaign,” Giuliani said. Under the terms of Friday’s plea deal, prosecutors dropped the bulk of the charges against Manafort, filing new paperwork that includes just two counts that resemble in many ways the original allegations made in an indictment last year. It’s unclear how the possible deal might affect Manafort’s pursuit of a pardon from Trump. The president has signaled that he’s sympathetic to Manafort’s cause. In comments to Politico before Friday’s plea deal, Giuliani said a plea without a cooperation agreement wouldn’t foreclose the possibility of a pardon. In the current Washington case, prosecutors detailed Manafort’s political consulting and lobbying work. Prosecutors say that Manafort directed a large-scale lobbying operation in the US for Ukrainian interests without registering with the Justice Department as required by the federal Foreign Agents Registration Act, or FARA. Manafort was accused of concealing from the IRS tens of millions of dollars in proceeds from his Ukrainian patrons and conspiring to launder that money through offshore accounts in Cyprus and elsewhere. mikenova shared this story from The Globalist. What is one to make of the secret activities of the Habsburg Group? In 2011, following Viktor Yanukovych’s election as Ukraine’s president, then U.S. political consultant Paul Manafort was hired to develop plans to promote the international political goals of the new leader in Kiev. Yanukovych sought strong support from West European governments and from the U.S. Congress and the White House. The plans and their funding were to be kept strictly secret. Over four years, at least $11 million was spent by Manafort. The money was distributed via a host of shell companies in a dozen jurisdictions to lobbyists that he recruited on both sides of the Atlantic — at least $2 million went to the Hapsburg Group. Details of Manafort’s operations were disclosed last Friday in documents presented to the federal court in Washington, D.C. by the U.S. Justice Department on behalf of U.S. Special Counsel Robert Mueller. Significantly, immediately prior to the court filing, on September 13, 2018, Manafort agreed to plead guilty to a obstruction of justice and a catch-all “conspiracy against the United States,” which include failing to register as a lobbyist for a foreign government. He has plenty of reasons to cooperate with the U.S. government now, given that just a few weeks ago Manafort was found guilty of charges that included bank fraud, $30 million of money laundering and $15 million of tax evasion. THE EU’S LEFT SUPPORTS UKRAINE’S RIGHT WING? The VIP team that Manafort created is referred to repeatedly in the court documents as the Habsburg Group, which is coordinated by former Austrian Chancellor Alfred Gusenbauer. Leading members include former European Commission President and former Italian Prime Minister Romano Prodi, as well as former Polish President Aleksander Kwasniewski. Politically, two facts are surprising: First, these politicians are all prominent left-of-center politicians. Second, they became highly active advocates of the right-wing Yanukovych regime. According to U.S. media reports, they have either refused to comment on the allegations or denied suggestions that they secretly took cash to promote the interest of Ukraine. The court papers noted, just as an example, that the team promoted the interest of the Ukraine government in meetings in the three months from November 2012 to February 2013 with, among others: European Parliament (EP) leader Martin Schultz, French foreign minister Laurent Fabius, senior EU and IMF officials. Plans were set for meetings with senior U.S. government officials, which other court documents show did take place later in 2013. The former European political leaders who worked under the auspices of the Habsburg Group had multiple contacts with Paul Manafort. It is surprising that they apparently asked few questions about the ways in which they were being paid, through offshore shell companies, and why Manafort insisted that his name never be mentioned in any of their dealings on behalf of Ukraine. Manafort will go to prison and he will pay a steep fine. In contrast, the European officials and former political leaders that he employed are unlikely to face investigations, let alone their days in court. This is astonishing, especially considering that they may have violated laws, and/or acted in ways that are counter to the ethical standards of the governments or international institutions that at differing times they represented. For example, Aleksander Kwasniewski was allegedly receiving cash as a member of Habsburg Group at the same time as he co-led a European Parliament (EP) mission to Ukraine to monitor conditions there. The Commission had positive things to say about Ukraine, which must have brought a wide smile to Manafort’s face. WHY NOT A EUROPEAN PARLIAMENT INVESTIGATION? So, will there be a serious European Parliament investigation now into what was so clearly a conflict of interest? I doubt it. After all, over the last five years there appears to have been 24 cases of so-called ethics complaints involving EP members, but nobody has been sanctioned. Many of the likely conflicts of interest of European politicians are not nearly as complex as the schemes that Manafort devised. Rather, they may well relate to outside commercial interests of elected parliamentarians. The disclosure guidelines governing investments and outside business income of elected parliamentarians across most of Europe are overly general and rarely, if ever, effectively monitored. In some parliaments in Europe, such as Germany and the UK, there are no serious requirements on members to disclose information about consulting work they may be doing on the side and who their clients might be. The disclosures in the Manafort papers ought to set off some alarm bells in Europe. At a minimum, it should launch a serious conversation in European capitals and in the European parliament about conflicts of interest, about the ways they are prevented and about the enforcement of ethics regulations. It would be worthwhile as well to review whether or not there should be regulations regarding the ways in which top politicians operate, and lobby, after they leave office. At a time of growing populism, it does not sit well with the public at large that politicians often state they seek the public’s trust, but are then prepared to abuse their power as they scheme to get rich. Clearly, they should neither be able to operate with impunity, nor assured that their unethical actions will not be investigated, let alone prosecuted. Meanwhile, perhaps the Habsburg Group members will now have a few sleepless nights. The documents that have been filed in U.S. court are the start, not the end of public disclosures. Paul Manafort is about to start talking to the U.S. Special Counsel in a desperate effort to earn some mercy as he currently faces at least 10 years in jail. 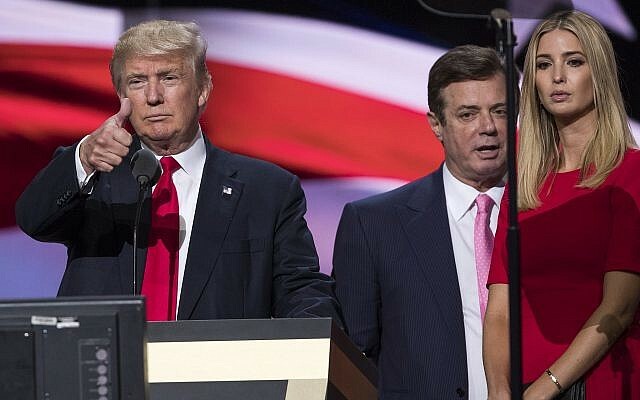 To the undoubted horror of president Trump, Manafort will undoubtedly be asked by Robert Mueller to reveal everything he knows about possible deals and connections between the Trump election campaign, in which he served as chief manager for several months in 2016, and Russians. He may also be asked to provide far more details about the law firms, banks, consultants, and former European politicians he paid over the years as he secretly and unlawfully lobbied for Ukraine’s Viktor Yanukovych. mikenova shared this story from manafort german connections – Google News. … valued good computer connections more than natural resources. 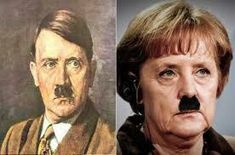 ….. all you like, prime minister,” said Werner Langen, a German member. “Manafort coordinated privately with a senior Israeli government official to issue a … of the Allies’ victory over Nazi Germany, in the Israeli parliament in Jerusalem. … However, Liberman vehemently denied any connection.